Are you someone who’s trying to master PPC? If answered yes, you require having a solid understanding of Quality Score. In order to determine the effectiveness and cost of your paid search campaigns, you need to know the influence of Quality Scores. 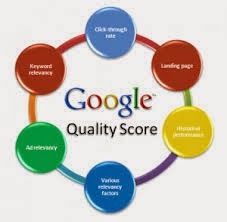 Just as you need a good credit score to qualify for loan with a low interest rate, Google Quality Score is also needed to know how your PPC ads will perform and how much you can get paid for them. Read on the concerns of this article if you’re interested in PPC and if you want to know about Google’s newest release. What actually is Quality Score? It is really surprising that no one apart from Google is aware of the actual algorithm with which the Quality Score works. However, it is certainly a very important part of SEO. It is pretty obvious by the importance of Quality Score that it was always a topic of debate. The amount of focus that should be devoted to it was always in question. Google has recently issued a whitepaper called “Setting the (Quality) Score” through which the advertisers can use this score to guide their optimizations. But the question is whether or not this is going to stop the debate! Rather not! This will spark more conversation but if you’re someone into paid searching, you should know about Google’s release. According to Google, Quality Score is a “warning light within a car’s engine” and it is said to be opposed to being a detailed metric. This is actually a mixture of expected click-through rate, landing page experience and ad relevancy. However, we should be aware of the fact that the score that is shown isn’t the actual score during an auction. This guide also garners attention to the 6 things that matter the most and that doesn’t with regards to measuring quality. Its main aim is to address some of the misconceptions on Quality Score. If you move a keyword to another ad copy, the quality score of the keyword might change because of the change in the user experience. The final bottom line is that you shouldn’t chase numbers; rather you should focus on your efforts, which is best for your users.